Lemon and Lime Basil are ideal for seafood dishes, pizzas, soups and salads. Thai Basil has a sweet licorice or anise-clove flavour that’s perfect in Asian dishes. Purple basils like ‘Dark Opal’, ‘Petra‘ or ‘Purple Ruffles’ are attractive additions in container gardens to add colour as well as flavour. 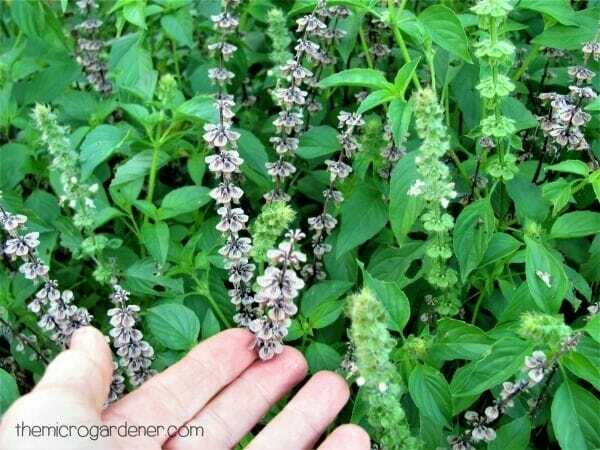 Holy Basil (Ocimum Sanctum) is also known as Sacred Basil. This herb is widely used in India for medicinal purposes. 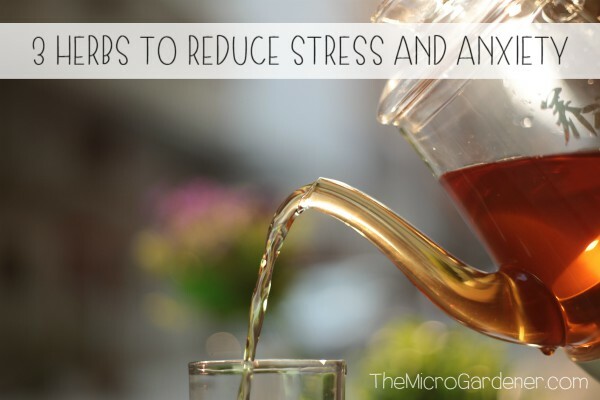 The Hindu name is ‘Tulsi’ which means “the incomparable one.” You can enjoy tulsi basil as a herbal tea to help ease anxiety, stress, adrenal fatigue and as an anti-cancer treatment. It has many many other medicinal uses too. Grown as a perennial in warm climates or as an annual in cold and temperate climates. One of my absolute ‘must have’ varieties in our home pharmacy garden! Basil leaves contain many fragrant essential oil components. When you bruise, rub or cut the leaves, they release those powerful aromas. The essential oils vary depending on the basil variety. e.g. Lemon basil is high in citral and limonene that give this cultivar its strong lemon scent and flavour. Like most plants, all basils contain compounds that help prevent attack from plant eating insects, bacteria and fungi. It’s no wonder this herb also offers us health benefits. 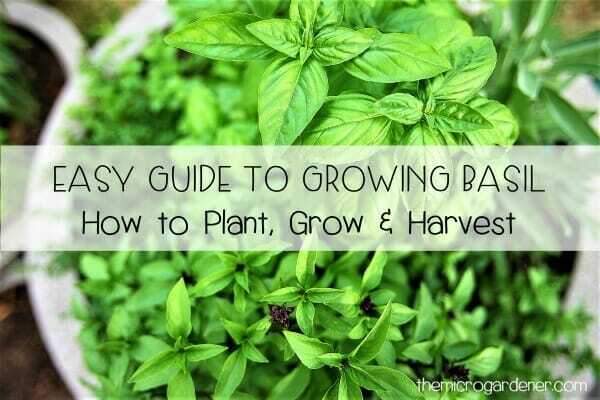 Basil is one of the easiest warm season herbs to grow. 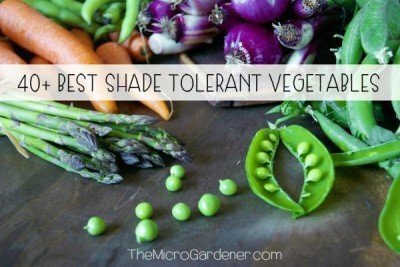 Check Gardenate.com for the best time to sow in your climate or see What to Plant When for your location. Growing Basil: Sow basil seeds directly into moist seed raising mix, to a depth of about 5mm. Follow my Seed Starting Guide for tips. To boost seed germination, sow during the new moon phase. During this time of the month, seeds swell with water more readily as the gravitational pull of the moon influences soil moisture. You can use a simple Moon Calendar to follow the cycle each month. Consider raising your basil seeds as microgreens. This is a quick way to enjoy the flavour and health benefits. 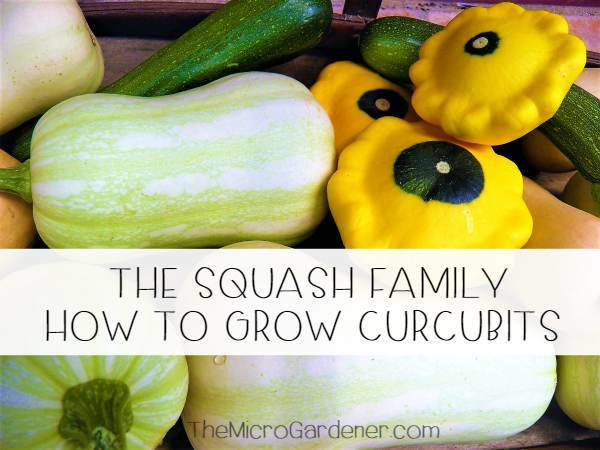 An easy solution if you have a short growing season or want to extend your harvest period. You don’t have to wait until basil is a fully-grown herb! Microgreens are perfect for impatient gardeners. Try growing Basil as microgreens. These toddlers are ready for harvest! 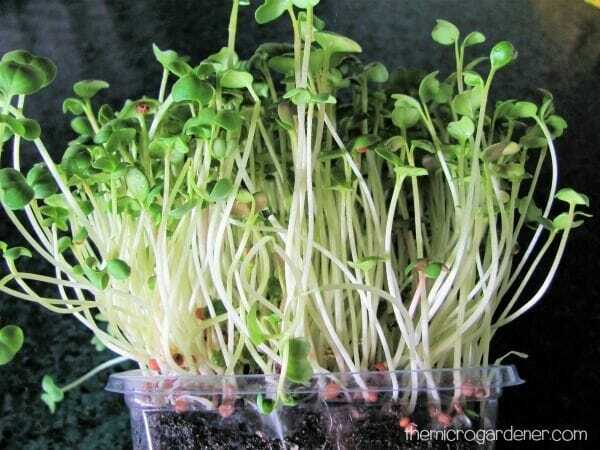 Microgreens are the ‘toddlers’ of the plant world. 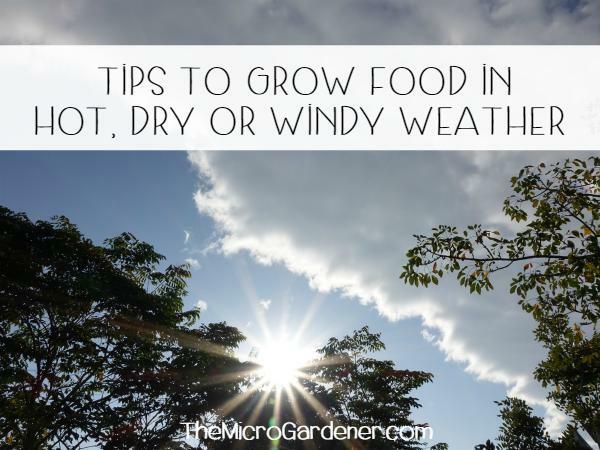 They add nutrient-dense flavour to meals instead of growing into full size plants. Your tiny basil ‘babies’ can be harvested with scissors, once they have grown their first two true leaves. Better still, you can grow basil microgreens on a well-lit kitchen bench indoors! Save a corner of your tray or punnet to plant out as basil seedlings. Follow this free tutorial for steps. When basil seedlings are about 8cm tall, gently transplant into a pot or the garden. If planting outside, choose a full sun position (minimum 4 hours/day). However, in hot dry weather, basil will appreciate some shade. Plant into a moist, compost-rich soil or potting mix. Add mulch to retain moisture. What’s the Best Location for Basil? Basil does well in pots or the garden. This herb prefers morning sun and afternoon shade in hot climates. You can bring indoors in a warm sunny spot or put in a sheltered position during winter (e.g. greenhouse), when it’s frost and cold sensitive. This may help you extend the harvest for a few more weeks. Consider growing basil in a herb spiral. If you prepare your soil well or use a nutrient-rich potting mix, you won’t have much to do during the growing season. Keep an eye on pest insects and pay attention to watering. For an abundance of healthy green basil leaves, apply a liquid fertiliser fortnightly or at least monthly. e.g. seaweed, diluted worm farm concentrate, fish emulsion or a handful of compost in your watering can. Water into the soil or foliar spray onto the leaves. Regular watering will keep your basil plant producing leaves and prevent it bolting to seed. If your leaves start to fade in colour, it’s a clue your basil may be nutrient-deficient. Top up with compost during the growing season. Once your plant is established, you can start harvesting or pruning basil leaves. Before giving your basil a ‘haircut’, wait until the plant has sufficient leaves. Don’t be impatient! If you remove all the ‘solar panels’ at once, your plant can’t get enough energy from the sun to keep growing. Snip leaves regularly with scissors. For every cut you make, two new shoots will grow so you will end up with a more bushy basil plant. If you haven’t got enough basil from one plant, grow more! As you prune, you will shape the plant. I grow some basil for leaves I can use in the kitchen, some to form flowers to feed bees and pollinators and then I harvest free seeds. Once flower heads start forming, basil will stop producing leaves and start putting energy into flowers. Pinch them out regularly to encourage new growth and a bushier plant. Use your fingertips or scissors to remove the flower head at least one leaf node below where it forms on the stem. Seeds – Basil flowers form seed heads. Once dried out, you can remove the seeds to sow new plants. Cuttings – Snip a 15cm (4”) stem and put in a glass of water in a well lit spot. Once roots form, you can replant. Layering – Basil plants touching the ground will readily send out rootlets. Once established, you can separate from the mother plant. 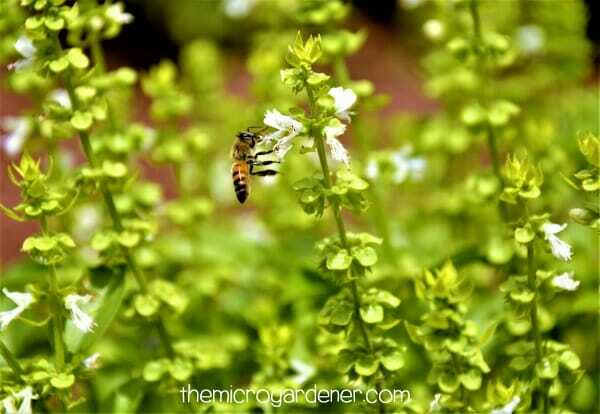 One of the key reasons to grow basil is to attract beneficial pollinators including bees. All basils are bee magnets! Their long-blooming white or purple flowers are rich in nectar and pollen. I suggest you plant basil near fruiting crops to improve pollination. 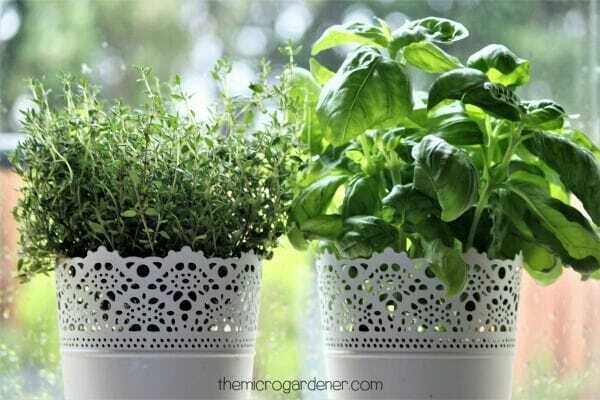 An alternative strategy you can use is to plant basil in a portable lightweight pot you can move around the garden. Position next to the plants that need pollination. The pretty edible basil flowers are also a beautiful temporary addition to any garden. How do you Stop Basil Bolting to Seed? As the weather starts to cool down, you may notice your basil will lose leaves as flowers form. It is naturally aging (known as senescence) and starting its reproductive cycle. It’s a bit sad – most basils have a relatively short life! 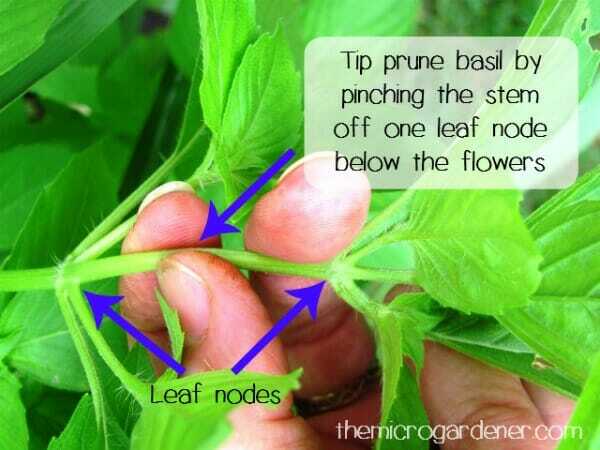 To slow this process down, keep tip pruning your basil plant and give it a good feed to boost growth. Move it into a greenhouse or nice warm spot to pamper it a bit and you’ll delay the inevitable! At least you’ll enjoy an extended harvest. 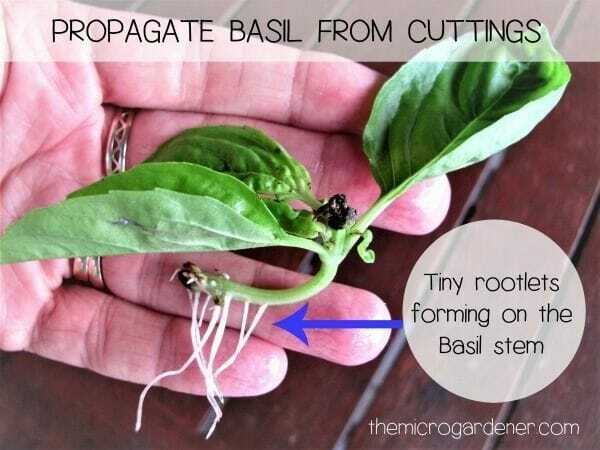 Want to grow more basil leaves? 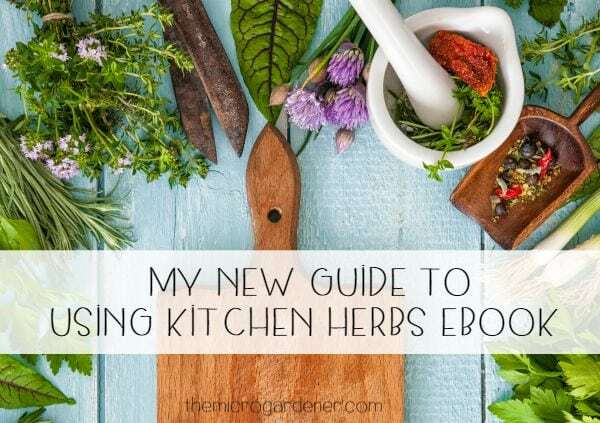 In this quick 2 minute video clip, I show you an easy technique to stimulate new growth so you get an abundant harvest of this delicious herb. Fresh basil doesn’t store well, so harvest as close to when you need to use it. You can keep fresh basil for a few days in a glass of water or sealed container in the fridge. To prevent leaves going black (oxidising), avoid washing until just before use. Freeze small portions of fresh basil or basil pesto in ice cubes. Add chopped basil and water, stock or oil to the ice cubes. Dry basil leaves on a rack or in a bunch. Store crushed leaves in a sealed glass jar in a dark, dry place for up to 6 months. Extend your harvest by making Basil Pesto. Use as a sauce, flavouring or dip when fresh basil is not in season. Fresh basil contains Vitamins A, C and K and many phytonutrients essential for health. 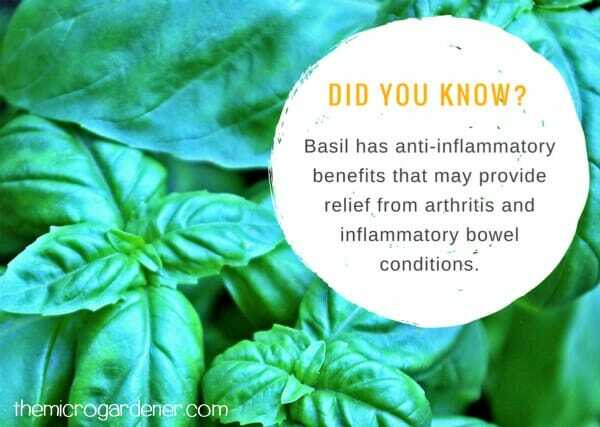 Like all herbs, basil contains digestive enzymes. 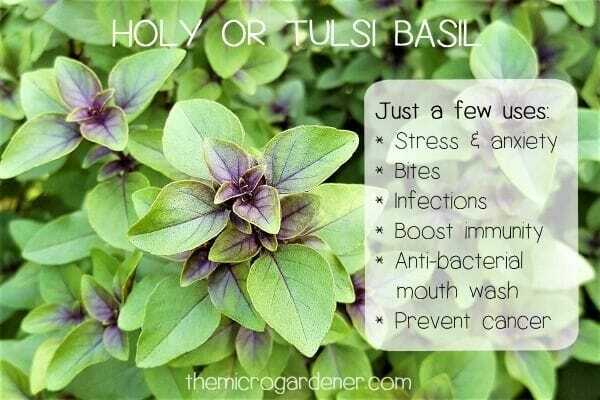 Basil is an excellent home pharmacy medicinal herb to grow. It contains compounds with anti-inflammatory, antibacterial, antioxidant, antimicrobial properties as well as chemopreventive and radioprotective effects. Potpourri: Try drying the leaves to make potpourri sachets (a great gift). Camphor and clove basils are ideal varieties to help repel moths from your pantry or wardrobe. Herbal Tea: Brew up fresh basil leaves or about 1 teaspoon of dried leaves as a herbal tea to aid digestion, calm nerves, reduce tension and stress. You can also add your other favourite herbs. Pain Relief: A crushed basil leaf bandaged onto a bite or sting is said to draw out the poison and reduce the pain – a handy remedy for any gardener! Headaches: At the onset of a headache, a crushed leaf rubbed over the temples may help relieve symptoms. Cooking: Always add basil at the end of the cooking time to maximise its flavour and essential oils. Use as a garnish or microgreens so you get the benefit of digestive enzymes to help you absorb nutrients from cooked foods. 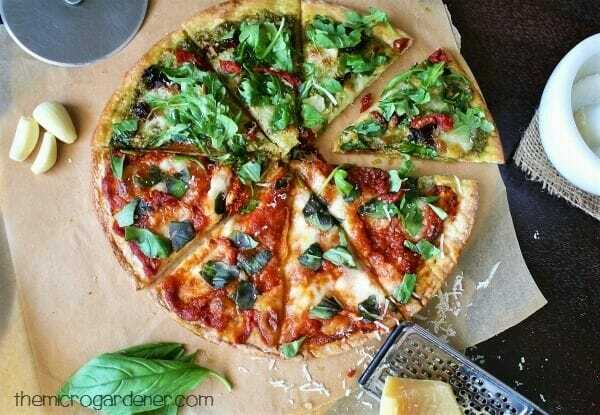 Try adding fresh basil on homemade pizza for an additional flavour burst + nutrient value. Basil is a key ingredient in pesto sauce and the perfect partner to tomatoes. It is traditionally used to add flavour in Italian, Mediterranean and Thai dishes. Basil blends beautifully with garlic, thyme and lemon; can be chopped fresh or dried to make herb butter; and also works well with fish, pasta, cheese and eggs. Dried leaves can be used to make herb salt. You can add basil to flavour dressings, salads, vinegars, marinades, oils, soups, sauces, sandwiches, herb bread and of course pizza! 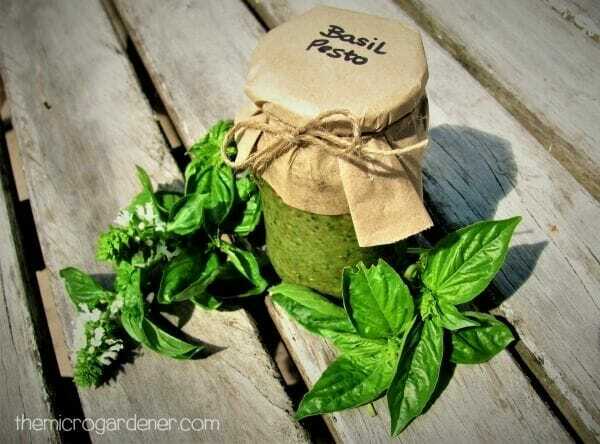 Preserve fresh basil leaves and flowers by making basil pesto. A homemade gift idea! In a small food processor, pulse basil, nuts/seeds, garlic, juice and salt. Scrape down sides occasionally, until almost smooth. With motor running, add oil in a slow, steady stream. Process to combine until smooth – about 30 seconds. 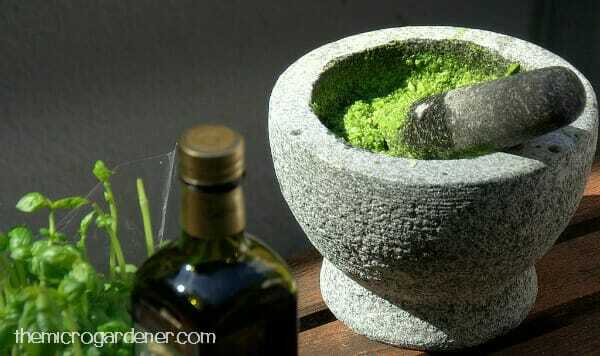 Or use a mortar and pestle to blend ingredients. Makes: Approx 1/2 cup Basil Pesto. Toss pesto through pasta, add to your favourite dish or serve with crackers and vegetable sticks as a healthy snack. To store, spoon into a sterilised jar. Cover pesto surface with a thin layer of oil to prevent discolouration. Seal. Refrigerate for up to 3 months. Gupta SK, Prakash J, Srivastava S. Validation of traditional claim of Tulsi, Ocimum sanctum Linn. as a medicinal plant. Indian J Exp Biol. 2002 Jul;40(7):765-73. Uma Devi P. Radioprotective, anticarcinogenic and antioxidant properties of the Indian holy basil, Ocimum sanctum (Tulasi). Indian J Exp Biol. 2001 Mar;39(3):185-90. Prakash J, Gupta SK. Chemopreventive activity of Ocimum sanctum seed oil. J Ethnopharmacol. 2000 Sep;72(1-2):29-34. Bhargava KP, Singh N. Anti-stress activity of Ocimum sanctum Linn. Indian J Med Res. 1981 March;73:443-451. Awesome tips! Basil is very easy and a great starter herb, indoor or outdoor. Especially when you see how expensive pesto sauce is. Thanks for the great tips, especially what to do when they start flowering. I had always heard mixed information.